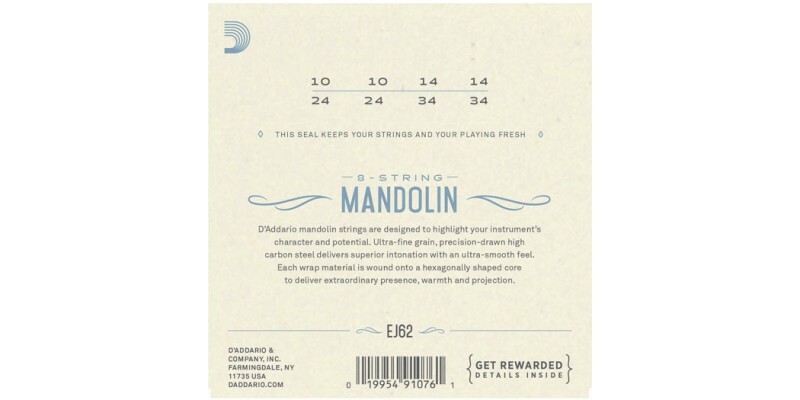 The D'Addario EJ62 light gauge mandolin strings are wound with 80/20 Bronze for a crisp, bright tone on all 4 wound strings and are perfect for recording. 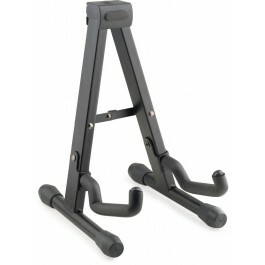 Buy online today from Guitar.co.uk or visit our Glasgow shop, Merchant City Music. Fast UK and European delivery. 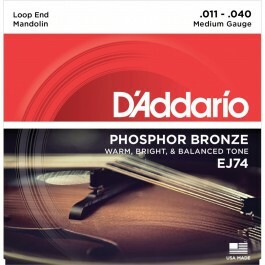 The D'Addario EJ62 Mandolin Strings are Bronze Light Gauge. 80/20 Bronze, commonly referred to as brass, is the original string alloy selected by John D'Addario Sr. and John D'Angelico in the 1930s. 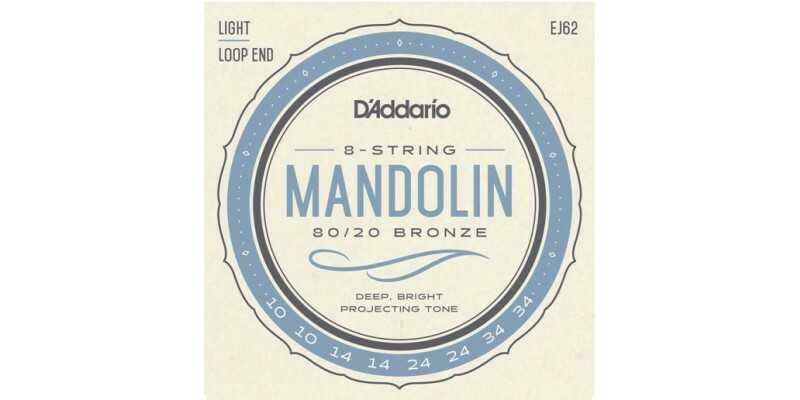 D'Addario EJ62 Mandolin 80/20 Bronze strings are popular for recording due to their crisp, deep and projecting tone and appeal to many traditionalists and vintage enthusiasts for their historical significance. 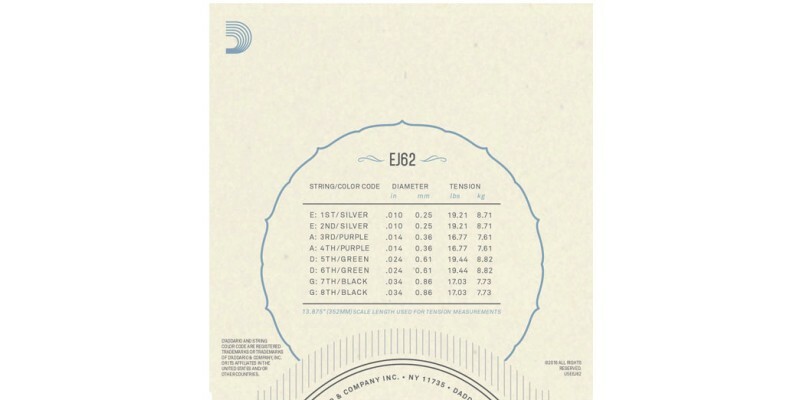 All D'Addario mandolin strings are wound on a hexagonally shaped, high carbon steel core, resulting in long lasting, bright sounding tone with excellent intonation.